Medical applications – Years ago we heard a TV commercial describe a patient who had fallen but could not get up to call for help. Those same patients today can communicate with emergency responders by transmitting critical medical data through a wearable computer. Although a patient may not be conscious, their wearable computer is still able to intercede with life-saving communications. Techcrunch.com took a look at the advantages of pairing wearable technologies with the medical community. 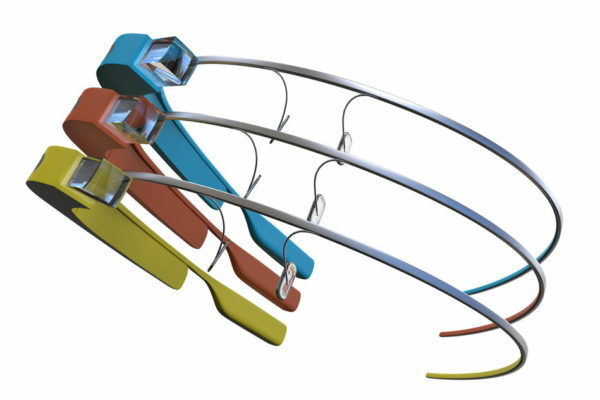 Google Glass – In April, 2012 Google started the public discussion of their eyeglass-mounted computer, “Project Glass”. This was the beginning of “Google Glass”. The evolution of Google Glass has encountered not only a technology growth curve, but also a social growth curve. Community members react differently to social norms being challenged when someone arrives in crowded a room wearing a camera on their face. The history of the Glass project has been well documented by glassalmanac.com. The Apple Corporation – Apple has invested heavily, banking on the success of their smart watch, called the “iWatch”. Many see the iWatch as the next step of the wearables revolution. While many ‘smart watches’ temporarily record data, they are anchored to a larger smart phone to download and process data. The recently announced upgrades for the iWatch demonstrate it to be a more of a self-sustaining platform. “This new version will have great new capabilities and bring native apps right to your wrist,” Apple CEO Tim Cook said in a recent announcement. The first generation needs to dock with an iPhone 5 (or later) but is setting the basis for an independent system with future developments. Being able to stay current involves not only understanding your clients’ current needs, but also appreciating the trends in the marketplace that affect our daily lives. Writing mobile apps for wearables is the next step in our evolution for programmers, runners and patients. Being able to communicate intelligently is critical to our growth.